Erection & Alignment of Heavy Vessels. Comprehending the varying needs of our customers, we are immersed in providing Pressure Vessel Erection Service. Imparted beneath the command of dexterous personnel, these offered services are widely recommended. More to this, our customers can get these services from us at highly feasible costs. 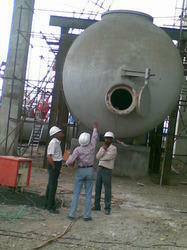 We are proficient name in the industry involved in providing Pressure Vessel Erection Service. 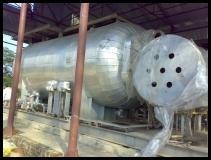 We are engaged in providing Pressure Vessel Erection Service to our esteemed customers. Dampf Energy Technologies Pvt. Ltd.
On site fabrication and erection of vessels.